Full scale office relocations are something that most owners or managers would rather not deal with, or at least have the project taken care by qualified professionals. This is not so much to do with lack of managerial skills or desire to improve and expand business opportunities, but more to do with the fact that running a business effectively is a full on exercise, and organising an office relocation at the same time, might leave owners frustrated, and their business in worse shape than it was. 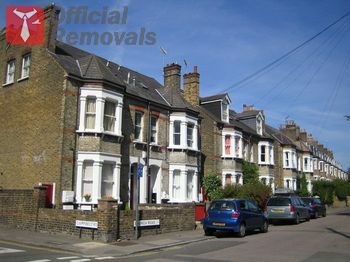 If you don’t want to neglect your daily business commitments, and you shouldn’t, but still need to organise the office removal properly and complete it timely, then perhaps it is time you considered specialised office removals in Hanwell, and no one around can provide you better with the most efficient and cost effective services than ourselves. We know what customers require of a good quality office relocation service, and that is reliable, technical expertise, punctuality, attention to fine detail, and of course highly efficient work practices that deliver professional grade results each time. Although this seems like a bit of a challenge for most moving companies out there, it is just another day at the office for us. We like challenges and will do our best to meet and exceed your service expectations by a mile. We will handle the entire removal from the planning and scheduling to unpacking and distributing items at your new address. Fully comprehensive, end to end servicing is our idea of a pro grade office relocation service that is worth customers’ time and money. Our dedicated, professionally qualified movers will take special care and consideration, when handling expensive office equipment and furniture as we need to have everything delivered safely and intact. Being a professional removals company, which happens to provide the best office removals in Hanwell, we need to be exceptional on all jobs. Because of this, each one of our removal jobs is supervised and coordinated by a qualified logistics expert, who ensures everything is carried out according to plan and schedule, and in regulation with industry’s standards.